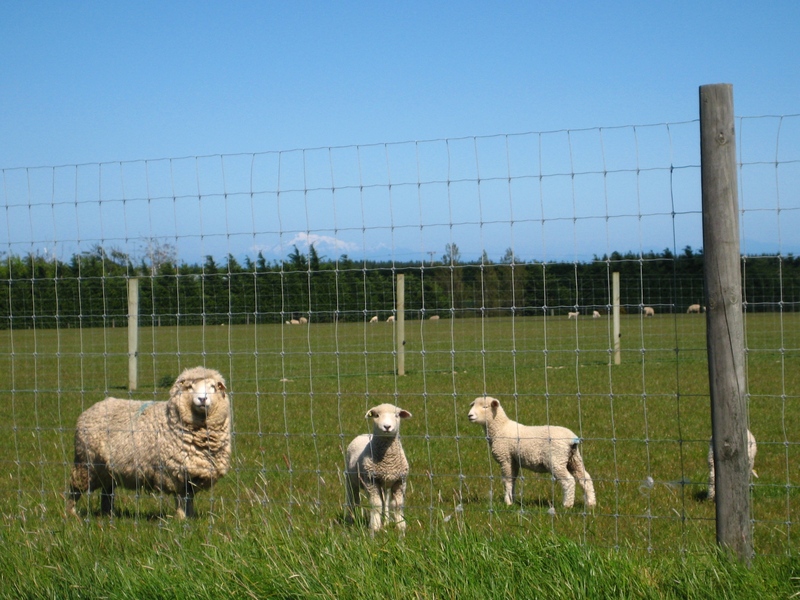 Last week we spent a couple days in the southern Wairarapa area, at the southern tip of the North Island. We visited Cape Palliser and Aorangi Forest Park, hiking into the Putangirua Pinnacles to check out the badlands structures along the riverbed. They were pretty impressive, though we still favor South Dakota’s version. 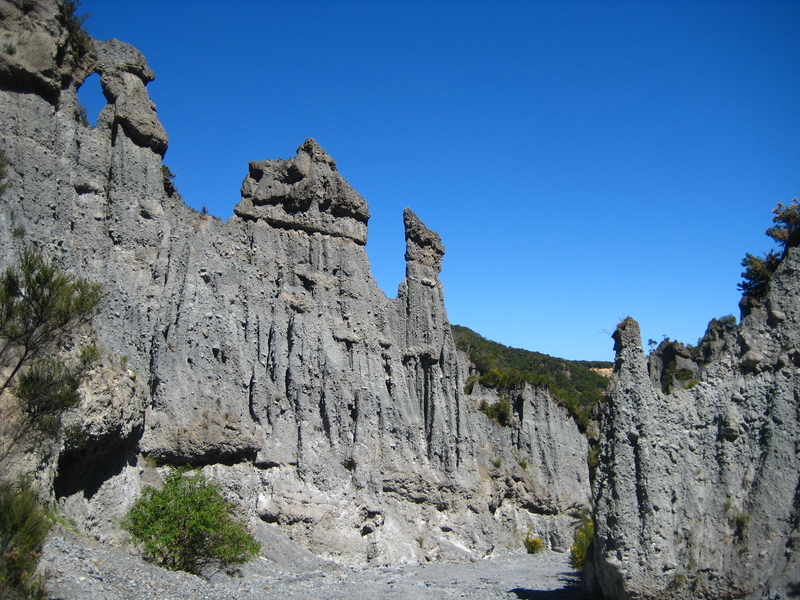 The sculpted badlands of the Putangirua Pinnacles. The area was teeming with sheep, some so overloaded with wool it looked like they might topple over, and some newly shorn and looking cold, naked, and startlingly clean. And lots of cute baby lambs. 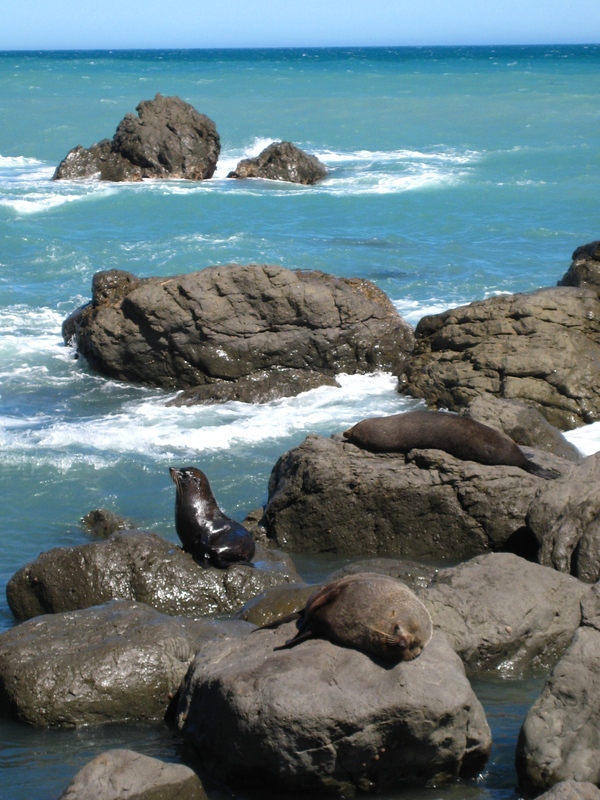 Also in the background of the picture below are some mountains on the South Island, possibly the Kaikouras. Look at those faces. And Jonathan doesn't understand why I want to take one home. It could graze on the Mall. 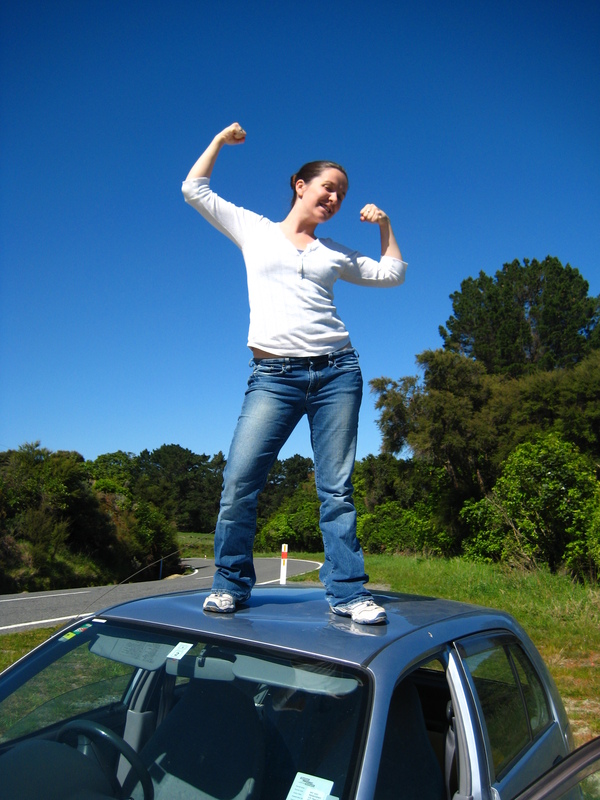 In order to better see the South Island, Becky climbed on top of the car. These beasts are clearly fearsome. Fun fact: they built the lighthouse *before* they built any access to this ledge. Crazy much? This entry was posted on October 22, 2008 at 3:40 pm and is filed under Uncategorized. You can follow any responses to this entry through the RSS 2.0 feed. You can leave a response, or trackback from your own site. 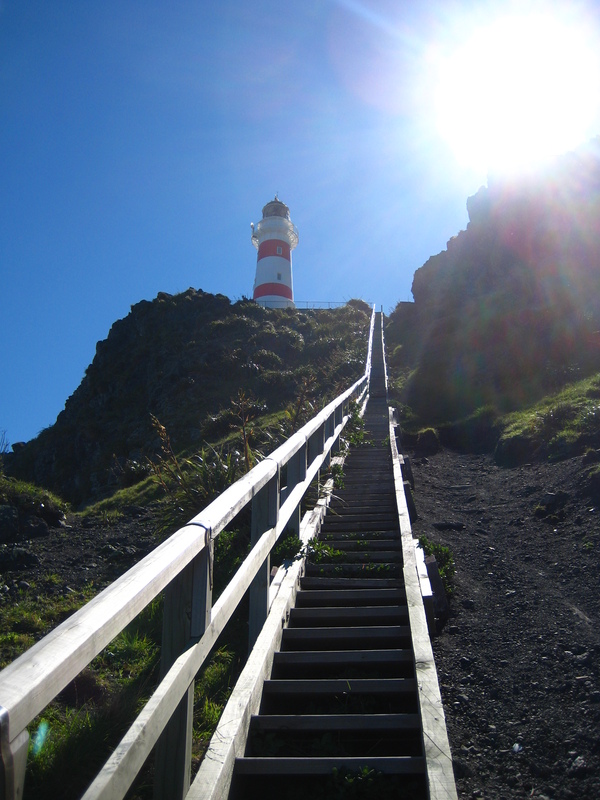 Wow, what a beautiful light house. I wish I was there. Miss you guys. i am preparing package. Is your address ok to send to? Do I need to mark a room number?